Isle of Man TT 2018. Planning Your Trip. The Isle of Man TT takes place every year in May/June time, bringing thousands of spectators to this otherwise tranquil island. Given the popularity of the event, attendees are advised to plan their trip carefully to make sure they secure transport and accommodation. To ensure you don’t miss out, Send My Bag has compiled a list of things to consider when planning a trip to the Isle of Man TT. The Isle of Man TT 2018 begins on Saturday 26th May and finishes on Friday 8th June. Qualifiers take place during the first week of the TT (26th May - 1st June) and the main races are scheduled for the second week (2nd June - 8th June). In Week One, events take place on all days except Sunday 27th but don’t kick off until after 6 pm each day. Races during Week Two are scheduled for the Saturday, Monday, Wednesday and Friday, in the morning and afternoon. The most popular way of getting to the Isle of Man is by ferry, with busy routes operating from Heysham and Liverpool in England, and less busy routes from Belfast and Dublin. If you bring a vehicle with you, you have less chance of securing a place on a ferry than if you travel as a foot passenger only. If travelling as a foot passenger, you can still have as much luggage as you need on the Isle of Man by sending your luggage with Send My Bag to your hotel or guesthouse. This option would also allow you to easily travel by plane to the island, on routes that often use small aircraft with minimal space in the hold. As the Isle of Man (a relatively small island) plays host to thousands of visitors during the TT, you may not have much to choose from when it comes to accommodation. Normally, guesthouses are sold out months in advance to repeat customers, but people can drop out, so do enquire with the establishments themselves or designated travel agents to see if there are any cancellations. Slightly more readily available are hotel rooms. However, high demand means room rates can increase dramatically during the TT. The cheapest accommodation option is camping, with a number of campsites available across the island, including some temporary campsites that are set up especially for the TT. If roughing it isn’t your thing, you could always opt for ready-to-use tents that are set up for you, or even glamping for a more luxurious experience. Many accommodation options have a minimum number of nights’ stay per booking, so be prepared to make a week of it! You may automatically think of big price comparison websites when planning a trip, but establishments on the Isle of Man tend not to list there, at least during the TT, due to high demand. It is best to contact businesses directly or go through travel agents responsible for managing bookings around the event. It’s easy to watch the TT – just find a spot along the 37.7-mile track and watch for free. Alternatively you can pay for a seat in the grandstand in the TT Village. For a modest amount you can have a seat for the day and really feel part of the action at the event’s hub. Or, if you want to treat a loved one to a special day you could go for one of the VIP options with entry to the hospitality suite and numerous other perks. Getting from the airport/ sea terminal to your accommodation, or from your accommodation to the race track is easy. The Isle of Man public transport system increases its service during the TT to ensure everyone can get to where they need to be. Transport options include an island-wide bus service, three heritage railways ? the electric railway, steam railway and Snaefell Mountain Railway, plus taxis that have ranks outside the airport and sea terminal. As the island is small you will get to where you need to go in under half an hour. To increase your travel options to the island, consider sending your luggage to your hotel or guesthouse with Send My Bag. If your campsite has a reception, you could even ask if you can have it sent there. This way you can travel as a foot passenger or on a small regional plane and still have everything you need with you during your time on the Isle of Man. Check out how affordable it is to send luggage to the Isle of Man. Get your quick quote here. Given that it only takes 30 minutes to get from one end of the island to another, anywhere on the island is convenient to the races. This means you can choose to stay in a more lively area such as the capital Douglas, or a quieter, more rural spot. The island has four towns –Douglas, Ramsey, Peel and Castletown. Douglas is by far the largest town, with the others being considerably smaller. The Isle of Man also has several villages, including the picturesque village of Laxey. As races only run on certain days of the week, you will have time in between to explore the island. Popular activities include golfing, angling, mountain biking and walking. There are a number of enjoyable walks, such as the coastal path, Raad ny Foillan, which stretches for 90 miles around the island and provides some breath-taking scenery. Wildlife watchers will appreciate the chance to potentially view basking sharks, humpback and killer whales, seals and bottle-nosed dolphins. 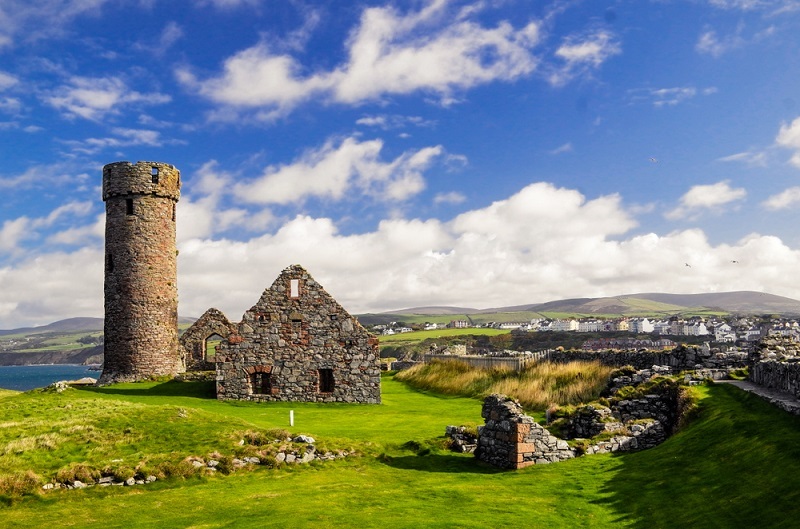 The island also boasts several heritage sites, like the castles at Peel and Castletown and the water wheel at Laxey. Don’t forget to visit the Manx Museum in Douglas to learn about the history and culture of this intriguing island. Flying to the Isle of Man TT? Make sure you are aware of your airline’s baggage allowance. In anticipation of National Walk in the Park Day (30th March, 2018), Send My Bag brings you the ten best National Parks of America. All remarkable in their own right, the USA’s National Parks cover many different terrains and landscapes, from desert to volcanic islands, from cave systems to woodland. Any trip to the US would be enhanced by a visit to one or several of the National Parks. These are excellent locations for trying out some outdoor pursuits, or you can just take it easy and simply admire the beauty of the Parks. Should you wish to take up outdoor pursuits in the National Parks, you can do so using your own equipment without the hassle of trying to check it into the hold of your plane and without the risk of excess baggage fees. Instead, you can send your hiking gear, skis or bike with Send My Bag and have them waiting for you at your hotel on arrival. Send My Bag can ship luggage and equipment across the US and internationally, meaning anyone can plan their own perfect trip to one or more of the USA’s National Parks.